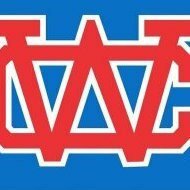 Just one week after the WCHS Pioneer baseball team was eliminated from the Region 3 Tournament, Pioneer head baseball coach Adam Childs was relieved of his duties. In a text message Monday afternoon, Childs confirmed he was dismissed. WCHS officials would only say they want to go in another direction with the baseball program. Childs leaves the program, having won over 100 games, with one district championship, 3 region tournament appearances and one substate appearance. 1 step forward, 2 steps backwards. after the meeting tonight it sounds like there was a lot more to this than politics. It's called an AD who has never had anything to do with the baseball program and ruins everything he has had a decision in and a high school principal who is best friends with a riverdale snake who will probably become the new head coach. Coach Childs has had one the most successful baseball programs at the high school starting with my senior class and progressed from their on. Time to fire the AD!! Why not fire the wchs lady pioneer head basketball coach? This would be heading in the right direction! But we all know who is buddies with each other, right? Warren county will always fail in sports program management with the current AD. Time to make changes in administration and not firing good, successful coaches. Yep, he was my middle school coach. Great players do not mean they become great coaches. These videos sum up high school sports now, sad. Unreal that they fire the only coach to have regular success in warren county sports. Warren County doing Warren County things. Coach Childs is a great coach and a better man.